White Lotus Home offers Office Furniture from Vermont Furniture Designs. 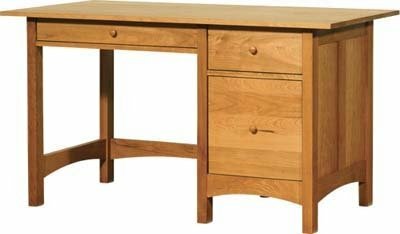 Vermont Furniture Designs is a small Vermont company creating traditional furniture of strength, simplicity and quality. 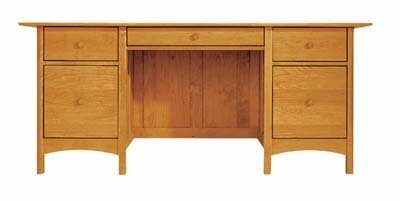 Since 1970, Vermont Furniture Designs has been committed to producing a variety of classic, high quality, solid hardwood furniture which are visually striking, and which clearly displays the quality of our craftsmanship. 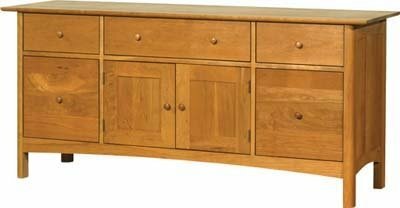 Our furniture is available in solid cherry, walnut, and maple, as well as blended combinations of those three species. Our hand rubbed oil finish does not allow staining or tinting, so the natural color of the wood is displayed. We take great pride in our color and grain matching - without a stain, the selection of the individual pieces of wood is of paramount importance.